Some Sparkis come with a Bluetooth Module. It is used to communicate wirelessly with your Sparki. 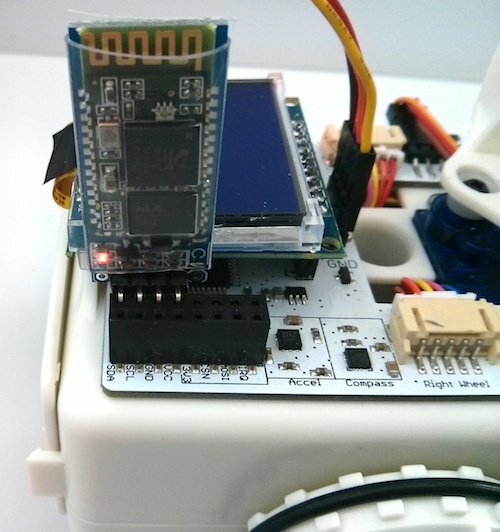 While you cannot use it to program Sparki, it is useful for communicating with Sparki via serial commands wirelessly. The Bluetooth Module is inserted into Sparki’s expansion port pins. When plugged in, the module should light up and blink. The pins you will plug the Bluetooth Module into on Sparki are named TX, RX, GND and VCC. 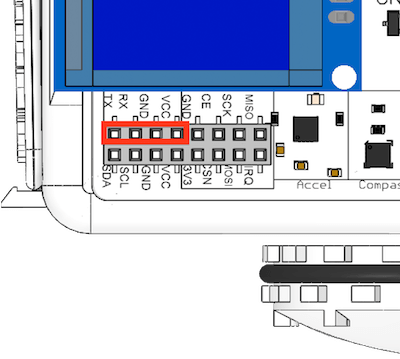 The Bluetooth Module may be a tight fit next to the LCD, that’s ok, as long as the Bluetooth Module is plugged into the correct pins it will function properly, even if it’s pushed up against the LCD screen. TX– This is the pin that Sparki uses to transmit information out of Sparki and to the Bluetooth for transmitting. Because the Bluetooth is receiving information from Sparki on Sparki’s TX pin the RX Bluetooth pin plugs into this pin. RX– This is the pin that Sparki uses to receive information from the Bluetooth. For that reason the TX Bluetooth pin plugs into this pin. GND– This supplies a ground path for the electricity to travel back from the Bluetooth module to Sparki. VCC– This supplies the source of electricity for the Bluetooth Module from Sparki. You’ll need to pair your Bluetooth Module at least once every time you use Sparki with a new computer or device, but after that the computer or device will probably remember about Sparki’s Bluetooth Module unless something happens to your computer or device Bluetooth preferences or files. 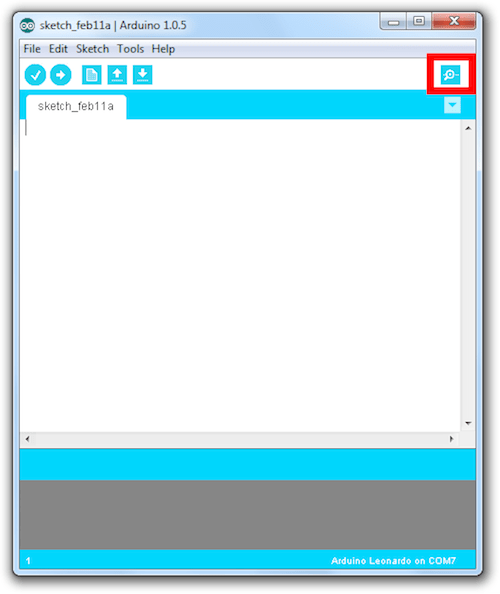 The serial terminal will allow you to send information to Sparki and see anything that Sparki is broadcasting over the Bluetooth Module. If Sparki has commands that tell it what to do with the information you send it, you can even control Sparki’s output with this serial monitor. Pretty cool, huh? Previously you’ve used serial communication to upload code onto Sparki over the USB serial port. Now that you’ve moved on to exploring the Bluetooth Module you’ll be getting comfortable with serial ports since the Bluetooth Module also uses a serial port. 1. The USB serial port, which is accessed in the code you load onto Sparki via Serial. 2. The port the bluetooth module plugs into is usable via Serial1 in the code you will load onto Sparki. 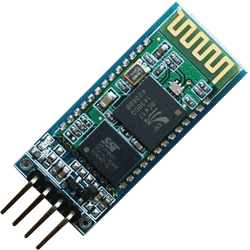 To use the bluetooth module to communicate instead of the USB port, change any commands that use Serial to use Serial1 instead. You can read more about programming with this part in this lesson.